For Alaskans tired of the monotonous winter landscape, a quick trip to Vancouver Island, British Columbia provides great relief. It’s vibrantly green, punctuated by spectacular ocean vistas, and easily accessible from Seattle via high-speed ferry. Several years ago, I took a spring trip to Vancouver Island with my sister. We visited wineries, ate delicious food prepared by creative chefs, and enjoyed the sun as we randomly walked and drove country roads. While in Victoria, the Island’s main city, we reminisced about our annual visits there as kids. We talked our way into the motel room where our family always stayed and laughed about lemon curd on toast; a taste treat we associate with the Island. In recent years, artists and wineries clustered in the Island’s Cowichan Valley have attracted a new wave of visitors. 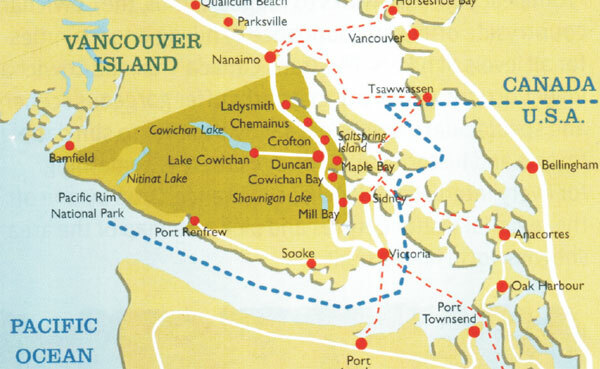 Cowichan, a First Nation word meaning “land warmed by the sun,” has a micro-climate well-suited for growing grapes. The wines we tasted were surprisingly good. Hilary’s Cheese on Cherry Point Road was one of the trip’s highlights. 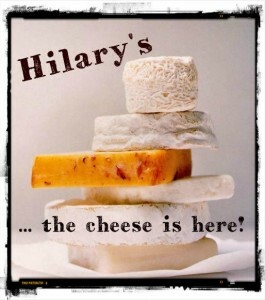 Because we were there off-season, Hilary had time to give us a tour of his cheese making facilities. He explained his production methods and gave us tastes of wonderful Trappist and Camembert-style cheeses. At Hilary’s, in addition to cheese, I bought a jar of dukkah (or duqqa), a Middle Eastern spice and nut mix I learned about from my Egyptian friend Nawal. 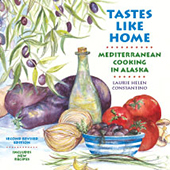 When I interviewed Nawal for Tastes Like Home: Mediterranean Cooking in Alaska, she told me to dip bread in olive oil and then in dukkah. I followed Nawal’s instructions with the dukkah I bought from Hilary’s, and immediately enjoyed the combination. Judging from Internet ads, dukkah is quite popular in Australia, though I’ve never seen it sold in Alaska. So when my Canadian dukkah was gone, I investigated how to make my own. I studied Nawal’s recipe, went through my cookbooks, and researched dukkah online. I discovered there are as many recipes for it as there are cooks. Any kind of nut is fine for dukkah; hazelnuts or almonds are frequently used. Sesame, coriander, cumin, and black pepper are in most dukkah recipes, but the proportions of each vary widely. Some recipes include mint, thyme, red pepper, turmeric, caraway, cinnamon, or clove. It took me three tries before I came up with a combination I loved. After finalizing the recipe, I found myself grabbing pinches of dukkah for a mid-afternoon snack and using it to perk up simple roast vegetables. Dukkah is amazingly addictive and versatile. Laurie, thank you for visiting my blog. I have just fell in love with yours. Love the way you write..and this post is great. I had not heard of dukkah and feel terribly compelled to prepare it. I just so happen to have some cauliflower which needs to be used today.thank you for sharing. Have never heard of dukkah before but the ingredients sound great and it can be used in many ways as you say. It’s always nice to learn new things. I too have never heard of Dukkah but I’m also betting this stuff would make a good dry rub on meat! I’ve seen a few bloggers writing about this and the sound of the ingredient combination appealed to me immediately. I need to try making some myself! Dukkah is new to me as well, but it sounds like something I would like very much. No doubt it’s just perfect with cauliflower. we have four caulis int he garden, which I am finally looking after now that you know who is you know where and will be out of action for a while… i’m thinking of trying cauliflower florets deep-fried in a spicy batter. One of my favourite things in the world, dukkah. For a while it seemed as though every single vineyard here in Australia made their own version for wine tastings! Combined with cauliflower, well, that’s a pretty sensational idea. Lovely, Laurie! What a great idea to make Dukkhah! We have a local brand in Portland called Oergon Dukkhah, but it retails for $6.99 a box…they have savory and sweet combinations, one with coconut. It sounds fun to experiment. What a great way to easily jazz up just about anything! I have been meaning to try dukkah on roasted cauliflower. It sounds pretty good. Dukkah sounds mmmmarvelous! I have heard of it but have never tried it before, nor have I seen it sold in the international type supermarkets. I’d never heard of dukkah before, but that sounds like a really great combination (esp. w/cauliflower). I’ll have to give this a try–it seems like there’s a lot of things it would lend itself to. Oh, you almost got me thinking about eating cauliflower… although it is my most unfavorite veggie. I do adore the ingredients for Dukkah though! Thank you for sharing such a neat-o recipe for Dukkah, which I have never heard of before. Lemon curd on toast? Weird, I have never had or heard of that before but I went to school in Victoria and grew up in Vancouver. How did I miss it it sounds delicious. Valentina, I also love your blog and am so glad you stopped by mine. Hope your dukkah turned out well! Ivy, learning about new foods and ingredients is what I like best about reading food blogs — it helps expands my horizons and inspires me with new ideas. Peter, one thing you need to be careful about using this on meats is that the sesame seeds and almonds burn if you cook them at too high of heat. Lamb chops, for example, I like grilling and then dipping in Dukkah before plating. Kalyn, it’s really easy, you should try it! The best thing is that you can customize it to best suit your tastes. 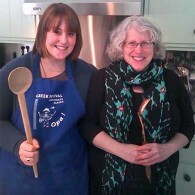 Lisa, definitely perfect with cauliflower – roasted squash is another good choice. Maria, you know I covet your garden! That deep-fried cauliflower sounds wonderful. Lucy, I think Australia is leading the way on this particular spice mix! Kevin, hope you try it soon – it’s great! Bijoux, my husband didn’t like cauliflower either until I started roasting it at high temperature. Now he’s a convert – who’da thunk it? Maryann, the best thing is it’s an easy to way to add a lot of flavor. Lannae, like I said to Bijoux, my experience is that even cauliflower haters can be converted to roasted cauliflower. It changes cauliflower’s flavor in a very good way. Try it, you might like it! Katerina, lemon curd on toast may have been a quirky invention of my mother – who knows? All I know is the only place we ever had it was Victoria, and every year we looked forward to eating it. It’s great! Valli, I love everything about Vancouver Island – if I moved to Canada, that’s definitely where I’d go.